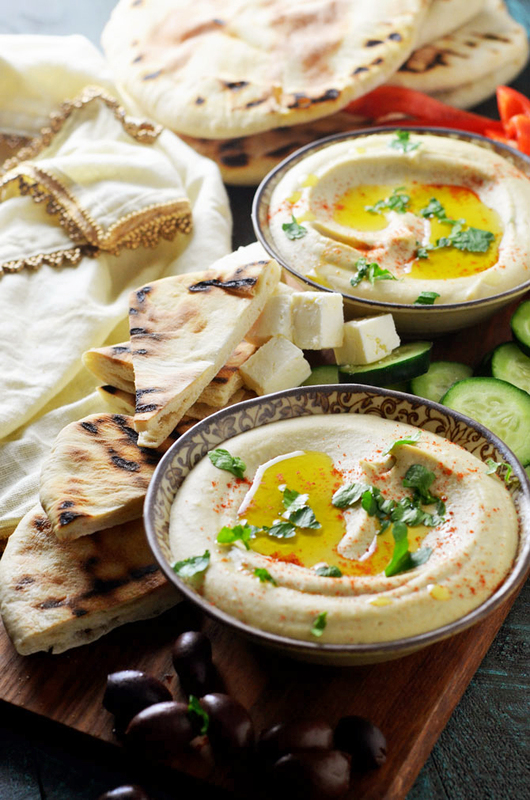 Put that Sabra back on the shelf because you are never going to buy prepackaged hummus again. I won’t even be sensitive with my assumptions here. 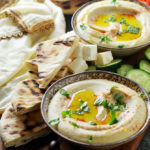 You’re going to love this, for the same reasons that it’s been heralded as the best hummus on the east coast, been named Bon Appétit’s 2015 Best Dish of The Year, and earned Chef Michael Solomonov quite the entourage. 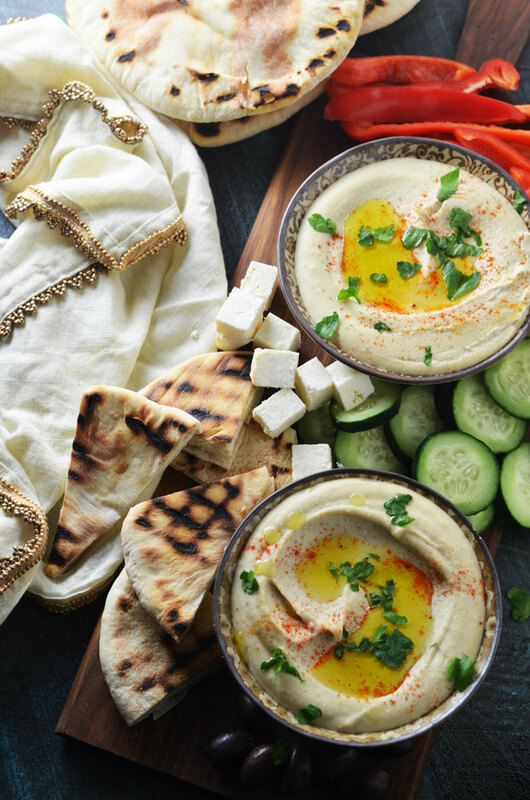 It’s incredibly rich, creamy, nutty, and silky, and as my good friend, Elysse, said, “it’s the only time I’ve heard a hummus called ethereal.” Ethereal! And luckily, it’s both easy and affordable to make at home, so you don’t have to travel all the way to Solomonov’s Philadelphia-based restaurants to get it. Michael Solomonov’s Perfect Hummus Tehina begins with tehina, the Israeli building block that begets many of the country’s best dishes. 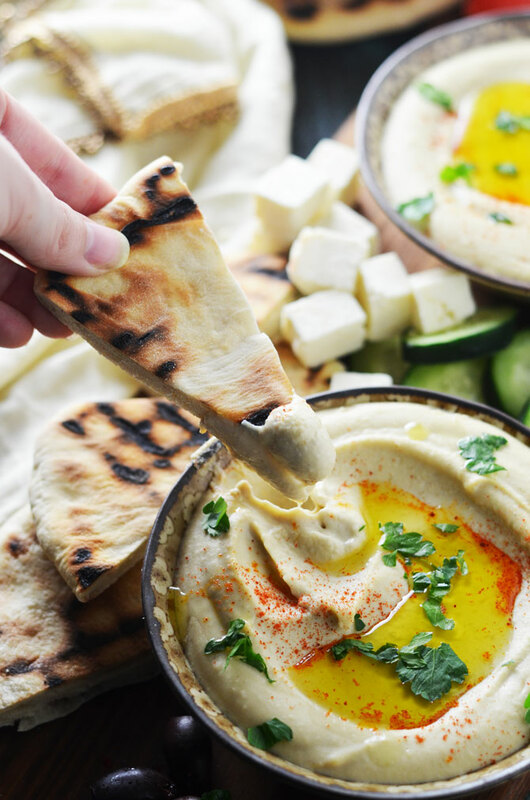 You may know it as tahini if you’re more familiar with Greek cuisine, but in Israel, the pure sesame seed paste is an honored staple that’s added into dips, spreads, sauces, and sweets by the the ton. There is no escaping tehina in Israeli cooking, which is a very good thing, if you ask me. 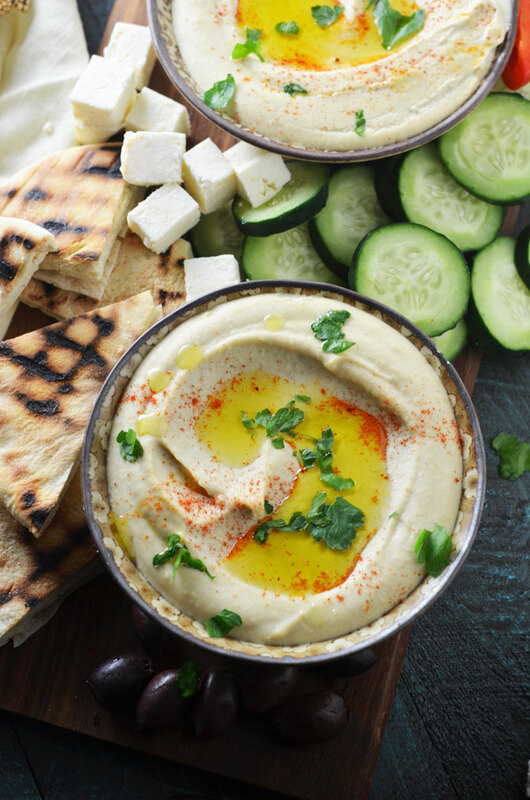 Instead of just combining the other dip ingredients and tehina all at once, Solomonov first blends together lemon juice and garlic and allows it to sit for 10 minutes before straining out the solids and mixing in the tehina paste. This stabilizes the garlic, preventing it from fermenting and becoming overwhelmingly sour. If you’ve tried to make hummus at home before and didn’t use that tip, you likely know exactly what he’s talking about. When you start to incorporate the tehina, you might notice that your sauce starts to seize up into a really unappealing texture. No worries. Adding in just a few tablespoons of ice water as you whisk will bring it back to that perfectly smooth consistency. Resist the urge to eat all of the tehina sauce as-is. I’m certainly not judging if you decide to sneak a few spoonfuls, but save the bulk of it to mix in with the chickpeas. It’s hard to believe, but it gets even better. For this recipe, you must use dried chickpeas, soak them, and then overcook them to the point that they’re falling apart. The resulting hummus is out of this universe. Don’t be tempted by the canned chickpeas– soaking dry beans overnight is so simple, and the result is immensely creamier and more flavorful. Cumin and salt are the only spices necessary to add in to Solomonov’s Hummus Tehina, as anything else would detract from its flavor. However, a dash of paprika, drizzle of olive oil, and sprinkle of torn parsley leaves to top never hurt anyone. 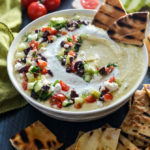 I serve the hummus with bell pepper, cucumber, olives, feta, and most importantly, some Homemade Pita, for dipping. 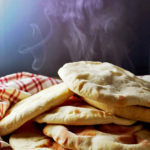 The pita bread is also from Michael Solomonov’s new cookbook, Zahav: A World of Israeli Cooking, which includes recipes from the Zahav restaurant’s hit menu such as their famous lamb shoulder, all sorts of kebabs, dozens of mezze, and more. If you enjoy Israeli food, I cannot recommend this cookbook enough. Try a taste of perfection yourself, take a photo, and tag #hostthetoast on Instagram or Twitter to show off your creamy, luxurious hummus for the world to drool over. Thank you, Mike Solomonov, for sharing your recipe! Thanks for the recipe! I’d lick the plates at Zahav for this hummus. I agree, after this hummus it would be impossible to go back to Sabra! Looks absolutely delicious! This is a great recipe, with proper Israeli technique. When you toast the cumin seeds for this recipe, add the same amount of coriander seeds and ground them together. 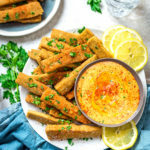 This two spices complement each other so well, they provide the hummus almost a meaty flavor which is out of this world. Of course you can use 1/4 tsp coriander seeds powder if you don’t have the seeds or can’t bother with the toasting and grinding. This is my tip, try it, you won’t regret it! Hey! 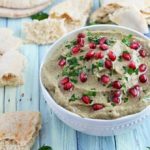 I made this hummus and it turned out just great! Mine came out little soupy because I included some of the chickpea water, but the next day it had hydrated and had a nice, scoopable texture. 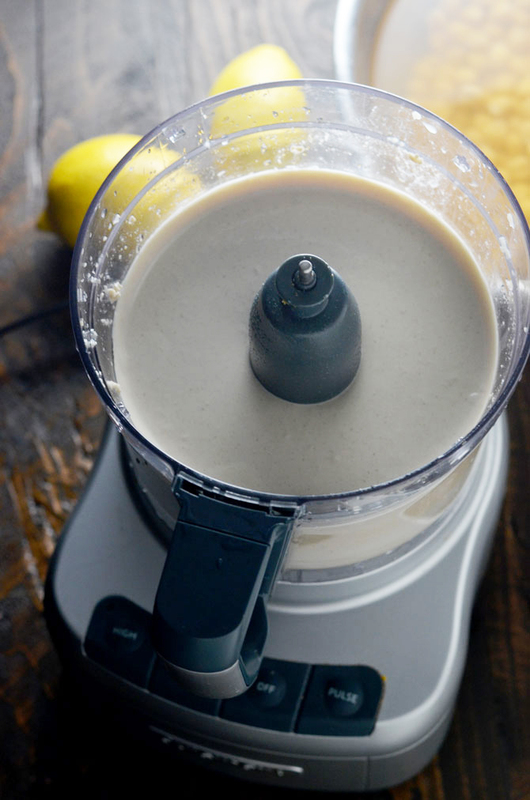 I’m definitely going to try making some in a blender, since I don’t usually have access to a food processor. Love your blog! 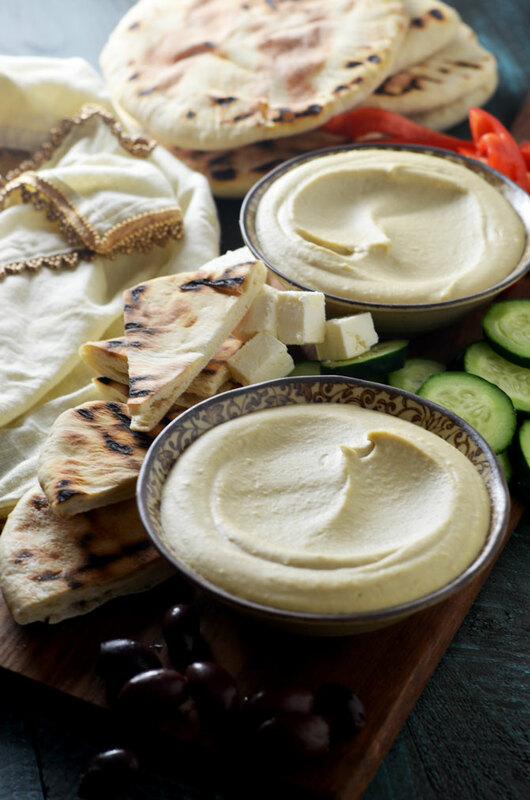 I know the books says “GOOD hummus is not meant to be refrigerated” (or something like that)…..however, can this hummus be refrigerated? Will it it ruin it?